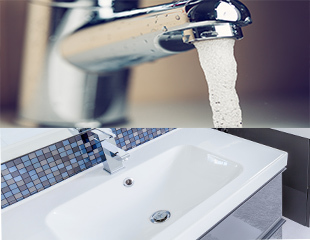 We Take Care Of All Your Bathroom Plumbing Needs In London. Your Kitchen Is Very Important. Our London Plumbers Are True Experts. London is the capital city of England and has a vast range of properties and houses. It is also the city with the most plumbers in the UK. Every day there is a plumbing emergency that needs expert attention. Also, there is always a landlord, tenant or housing association that needs an installation, repair or service carried out. Our professional plumbers in London are fully qualified and can visit your home or business. Our customers span the city and we are proud to say they are always happy with our work. Trustworth stands out because we have years of experience. Our expert London plumbers cover South-East, South-West and Central regions of the city. You may need an emergency repair, expert installation or general maintenance carried out. It is vital that you always use a fully qualified London plumber. If you choose otherwise, you most certainly will be left with a massive repair bill. We are trusted experts and can fix all types of plumbing mistakes (made by previous companies). Trustworth only uses brand new tools. We incorporate the latest technologies available to make sure each job is completed with absolute precision. Our team are true professionals, very friendly and always thorough. Our plumbing service always looks aims to make every repair durable. 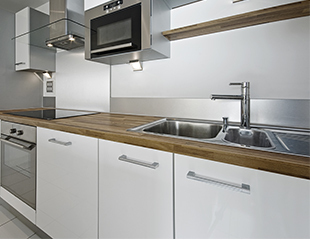 If you require the most experienced plumbers London has, then consider choosing our company. If you are a plumbing enthusiast that likes to read information about plumbing and heating then DIY Doctor is a popular website on the Internet. We are not connected to the website or organisation, but customers who like reading various information like to visit it. 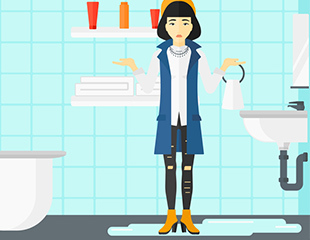 Are you experiencing a plumbing emergency in London? What you need is a 24-hour, fast response service that arrives quickly. You need a London plumber that can assess everything with precision and offer the best solution. Our team understands that every emergency is important. Whether it is a burst pipe, badly blocked drain or flooded toilet; we care. Our engineers will give essential advice before we set off to your property. You may be able to follow our instructions to turn off the water supply to stop further flooding for burst pipes. It is essential you know where you main stopcock is. Before we leave your property our emergency plumbers in London run a full set of tests. We always make sure we show you where the main stopcock is. Our engineers will demonstrate how to safely turn it on or off. It is alarming that many companies do not take the time to provide any aftercare for their customers. We will not leave until we are fully confident that the repair is fully complete. Also, our plumbers explain why the fault happened. It is important to also explain what we did to fix it and discuss the long-term outlook for the repair. Our plumbers in London provide repairs that last. So you will have peace of mind. Trustworth does its' very best to respond to quickly to your call. Our initial advice in a crisis is golden; we provide instant advice over the phone. Call us on 020 8670 4443 or 07951538977 for all plumbing maintenance, installations or repairs. We really do care about providing an efficient, friendly and expert service. We make sure all our installation or repair work will not leave a mess. We only leave your property after we've fully tested our work. Our London plumbers never take any shortcuts and never use any old parts. We can install shower systems, taps, baths, toilets, sinks, basins and water tanks. Are you are a landlord who owns manages many properties in London? We provide plumbing services and property management that are organised and reliable. For all types of bathrooms and kitchens, our plumbing expertise can handle any job. We are very experienced and are always provided with an opportunity to work on a full range of them. So when it comes to luxury bathroom suites and kitchens, we can fit bespoke elements. Ensuring we complete that luxurious vision but at the same time fully functional plumbing systems and components. From fitting new taps to replacing sinks, toilets or baths; we love our job. Sometimes after moving into a new property, you may discover that it encounters a series of problems. It may not have had the previous proper care applied to it. It is often frustrating for customers when they try to find out the prices of plumbing in London. Some companies are just not that transparent when it comes to costs. When it comes to determining the cost of plumbers in London, please always choose wisely. Always choose a company that is transparent with their costing/prices. The rate or price per hour should be clearly stated, as well as any additional costs. With Trustworth, our prices for local plumbers are very easy to follow. We charge £75 per hour for all standard work in South London. If you live in an area affected by congestion charges / expensive parking - the cost is slightly higher.